Have you ever experienced the feeling of being out of breath while running a little fast to board a train or bus? If yes, then maybe you are suffering from asthma. Worry not! One of the best ways to manage this respiratory disorder is asthma treatment in homeopathy. Asthma refers to a chronic long-term lung disease that leads to inflammation and narrowing of the airways. The coughing occurs often during the night or early in the morning. Typically, asthma is characterised by recurrent attacks of breathlessness. One must note that asthma has an impact on people irrespective of their age. However, the common thing about asthma is that it often starts during one’s childhood. This relatively unknown disease till a century ago is now affecting millions across the globe. The reason? Industrialisation, pollution and exposure to indoor allergens. No two persons suffering from asthma will have same symptoms. That’s why asthma treatment in homeopathy is recommended because it treats the patient according to his/her condition. At Health Total, we use holistic and integrated approach to manage asthma symptoms. Our homeopathy experts understand the emotional and physical concerns of patients and accordingly provide asthma treatment in homeopathy. 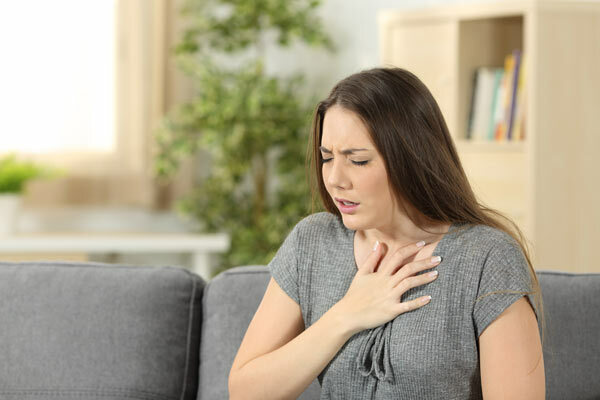 Over the years, we have seen that homeopathic medicines for asthma have improved the breathing capacity of asthmatics and reduced the need of hospitalisation or conventional medicines. If you are looking for a homeopathy plan for asthma, get in touch with our experts! Call toll-free 18002660607 to book an appointment for first FREE consultation.